Credits: "Artem Bali at Unsplash.com"
The sun is a necessary part of life, but too much sun exposure can be very harmful. Sun exposure can lead to skin damage, premature skin aging, and possibly over time, result in skin cancer. Over one million people in America are diagnosed with skin cancer each year from overexposure to the sun. Skin cancer is becoming one of the most common cancers in the United States, with an estimated 1 in 5 people who will get it during their lifetime. Sunscreen protection and refraining from sun exposure, in general, are more important than ever. Choosing the right sunscreen can often be confusing due to the sheer number of options that are out on the market. What is SPF, and does it matter? The simple answer is yes, SPF does matter. Sun Protection Factor, also known as SPF, is a measure of how well a sunscreen can protect human skin from the sun’s harmful UVB rays. More specifically, SPF refers to how well a sunscreen protects the skin from turning red and causing the colloquial “sunburn”. Unfortunately, SPF cannot filter 100 percent of the rays but can get quite close. The strength of SPF you choose determines how well the skin will be protected. For example, SPF 15 filters 93 percent of UVB rays, SPF 30 filters out 97 percent, and SPF 50 filters 98 percent of rays. At some point, there is no real benefit to getting a higher SPF. It is recommended by the American Academy of Dermatology to utilize a sunscreen with an SPF of 30 at the minimum. However, most sunscreens are not put on thick enough to get the SPF labeled on the bottle. In fact, most people put as little as one-half or one-fourth of the thickness that is typically tested. To account for this, it would be better to apply a sunscreen with a higher SPF of 50 so that at least 90% blockade can be achieved even if it is applied thinly. All sunscreens have the same amount of staying power, which is around 2 hours if not swimming or profusely sweating. The higher SPF just means more protection within that 2-hour timeframe. Ultraviolet A (UVA) and Ultraviolet B (UVB) rays are emitted from the sun and are known to be contributors to skin damage and skin cancer. UVB rays specifically are what cause the skin to be reddened when unprotected in the sun. UVA rays are the main contributor to premature aging of the skin. Sunscreens protect the skin by either absorbing or reflecting these harmful ultraviolet rays. SPF ratings refer mostly to UVB coverage since they are the most redness causing rays. However, there are several formulations of sunscreen that contain ingredients that block UVA rays as well. Sunscreens that protect from both UVA and UVB rays are known as broad-spectrum sunscreens. Broad spectrum sunscreens are considered to be the best type to use since they provide protection from both of these rays simultaneously. Physical barrier sunscreens are made of titanium dioxide or zinc oxide. They work by scattering, absorbing, and reflecting UV rays off of the skin when the sun hits it. Physical barriers tend to have more of a white-ish hue in color and do not blend as easily as their chemical counterparts. Micronized versions of physical barrier sunscreen have now come out on the market, which makes them easier to spread onto the skin and leaves less of a white hue on the skin. Chemical barrier sunscreens are made of organic, carbon-based compounds, and absorb UV rays. Some work by creating a chemical reaction that changes UV rays into heat, this heat is then released from the skin. The ingredients of chemical barriers usually include avobenzones and benzophenones such as octinoxate, octisalate, oxybenzone, and dioxybenzone. Chemical sunscreens tend to blend better on the skin when you rub them in and are therefore more cosmetically appealing. Sunscreens come in many various forms including creams, sprays, sticks, and gels. Creams are best to use on the face and for areas of the body that tend to be dry. Stick sunscreens are good to use around the eyes and face, and gel formulations are good for hairier areas of the body. Spray sunscreens, although very popular due to their ease of use and quick application, are controversial since it is not clear how well they cover the body. Overall, a good broad-spectrum coverage formulation that works an individual's specific needs is best. There are many types of sunscreen out there. For example, there are sunscreens made specifically for sensitive skin, acne prone skin, babies, and many other populations. When choosing a sunscreen, remember to pick a broad-spectrum sunscreen with an SPF of 30-50, that is water resistant and suits the individual's needs and activities. For instance, for swimmers, it is best to choose a more water-resistant type of sunscreen. Considering the amount of time spent outside is another important factor. A sunscreen with a higher SPF will help ensure adequate protection. Both physical barrier and chemical barrier sunscreens are effective in sun protection. Physical sunscreens like non-micronized zinc provide the broadest coverage for long days under the sun or during outdoor activities and sports. It is recommended to use an ounce of sunscreen on every exposed body part to protect from the sun. An ounce of sunscreen is enough to fill up a shot glass for reference. As much sunscreen as needed can be used to thoroughly cover the body. It is best to double apply sunscreen, meaning one layer is applied, wait a moment for it to absorb and then put on an additional layer thereafter. Evidence has shown that an individual is more sun protected when they apply a double layer of sunscreen. Once you apply your sunscreen, you are ready to go outside and enjoy your day and the sun, without any downtime. Sunscreen should be reapplied every two hours at a minimum. While swimming or doing any vigorous activity that causes an individual to sweat more, sunscreen should be applied even sooner. Over 85% of sunscreen is rubbed off of the skin when towel drying, so after every swim session it is vital to reapply. Sunscreen can only protect when it is being applied and used properly. Reapplying throughout the day is a vital step in sun protection. It is important to purchase a new bottle of sunscreen every year, as it may lose its ability to function as a sunscreen after a year’s time. Check the expiration date on your sunscreen as most of them have a date printed on the packaging. Although technically sunscreen has a shelf life of 3 years, it is still best to purchase new bottles annually. Although previous recommendations have focused on waiting 15 minutes after sunscreen application before heading outside, this is based on older sunscreens from yesteryear. Sunscreen application is even more convenient now, as sun exposure can occur within seconds of applying. United States Environmental Protection Agency. Sunscreen: The Burning Facts. Accessed May 19, 2018. 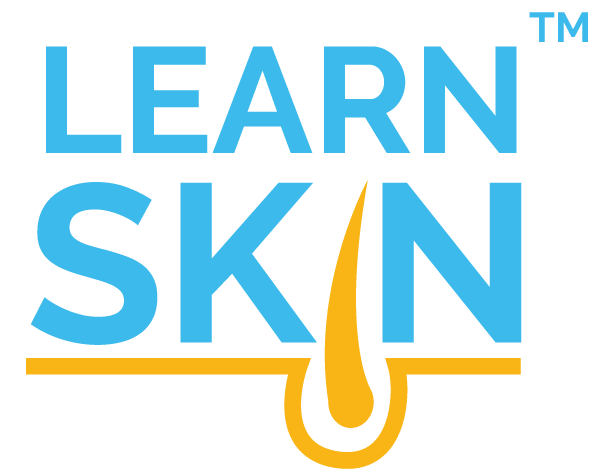 American Academy of Dermatology Sunscreen FAQs. Accessed May 19, 2018. Skin Cancer Foundation. Sunscreens Explained. Accessed May 19, 2018. Sivamani RK, Ghiya M, Maibach HI. Shedding light on sunscreens and their labels: Testing policies need to match actual use. Am J Prev Med. 2010; 38(6):679-681; PMID: 20494247 Link to research. Skin Cancer Foundation. The Skin Cancer Foundation’s Guide to Sunscreens. Accessed May, 19, 2018. Rai R, Shanmuga SC, Srinivas C. Update on photoprotection. Indian J Dermatol. 2012; 57(5):335-342; PMID: 23112351 Link to research. U.S. Food and Drug Administration. Sunscreen: How to Help Protect Your Skin from the Sun. Accessed May 19, 2018. Heerfordt IM, Torsnes LR, Philipsen PA, et al. Sunscreen use optimized by two consecutive applications. PLoS One. 2018; 13(3):e0193916; PMID: 29590142 Link to research.